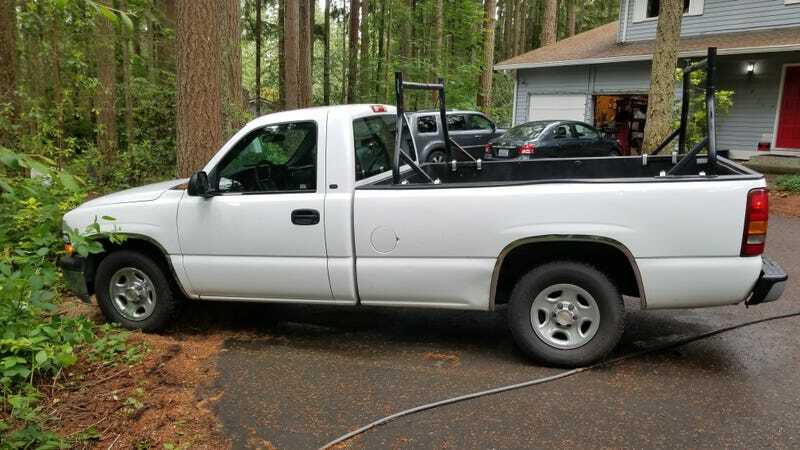 Want to buy my truck? 02 Chevy Silverado, needs a starter (will start if you tap starter with a hammer), and... Engine needs some work. I don’t know if it was ran low on oil or what, but there’s some serious ticking. Work vehicle, my boss wants it gone. 100,000 miles. Kills me to see it go, but the boss man isn’t very flexible here. What do you think this thing is worth? Rwd, v6, aside from the bad dent in the rear quarter panel the body is in fantastic shape for a work truck. Drives fine, but God only knows how much life the engine has left.